Sometimes a book catches you by surprise, grabs hold of you and takes you on a beautiful, emotionally charged journey. This is how I felt throughout the entirety of The Sea Monster Memoirs trilogy. Tangled Tides set the foundation for it all, giving us a story about finding oneself, facing challenges head on and getting the love that you deserve. Dangerous Depths took that foundation and shook it hard, testing the characters even more and forming this beautiful tale of sorrow and perseverance. Sacred Seas came along, taking the best of both of those books, and added in new emotion, depth, trials and pushing the characters to their limits, setting us up one hell of a ride. I do not normally read emotional books, yet Karen’s writing style allows me to enjoy feeling those emotions along with the characters. Getting that pulse of happiness, sorrow, anger, fear, elation, and that everything those characters experience, I experienced and it made me love the characters and the story even more. There is something almost refreshing when a book causes you to pause while reading and reflect on what it must be like to go through such trials and to come out the other side as a stronger person. Let’s talk characters for a moment. 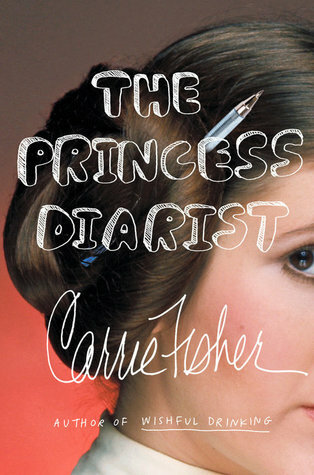 One neat aspect of this trilogy, is that each book has a different set of narrators. While Yara is always one of the narrators, the other two change in each book. I feel like this really helps to showcase different aspects of the story and world, to present a well rounded tale. Having a multitude of perspectives spread throughout three books is surely a challenge to write, and yet Karen has tackled that and done it well. Her writing style has changed since the beginning of the series, and it’s a wonderful thing to see not just the story and characters evolve along the way, but the writer as well. Then there is the Kraken. He is a force to be reckoned with. Though Yara and the others have had their fair share of obstacles to overcome, he brings a whole new meaning to the word challenge. One aspect I really enjoy in this book is the character flaws. Of course we want characters to succeed. But not everything can, or should, come with ease. Things that may be obvious to us readers, aren’t always obvious to the characters, and when they do make those bad decisions (I’m looking at you Rownan!) there is bound to be consequences down the line. What they do when faced with those consequences really makes them grow as a character. I am glad to see these flaws included, because it makes the characters more realistic. No one is perfect. The flow of this book is great. A little slow to start with as things are set into place, but then it picks up and doesn’t slow down. Each chapter pulls you along, diving into the next challenge that the characters must face and propelling you closer to the end. I couldn’t put this book down, since I kept wanting to know what would happen next, how would Yara, Treygan, Rownan and everyone else manage to get past their next major roadblock. Scared Seas is a gift. Much like Medusa’s agape pearl, this story truly shines throughout. 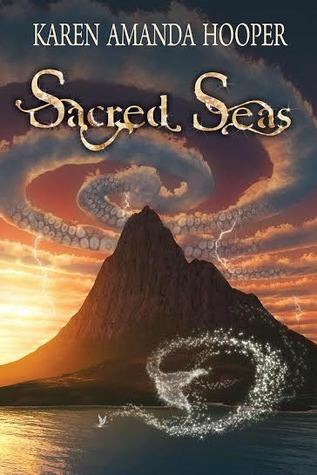 With it’s stellar fast-paced plot, multifaceted story, wonderful character growth, and a healthy dose of magic, myth and finding that delicate balance between love and loss, triumph and tragedy, and light and dark, Sacred Seas is the series ending that we deserve. This series has solidly placed itself in my list of favorites.